The CO2 tablets from ISTA are easy to use, you just have to place it in the aquarium water and upon contact with the water each of the tablet will release CO2 into the tank along with some valuable traces of substances that help and facilitate the growth of aquatic plants. One tablet is enough for 20 liters of water. 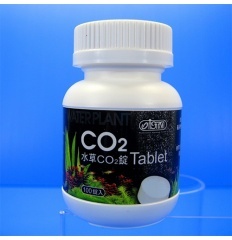 This is a perfect product for those who do not have space to keep an aquarium cylinder but will like to have planted aquarium and for those users also who will have difficulty in maintaining the appropriate levels.